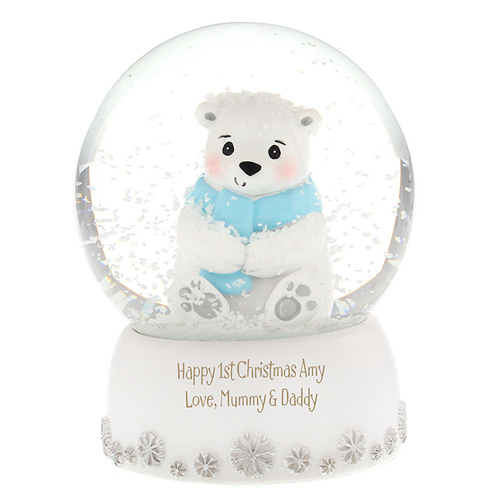 Personalise this ornamental Polar Bear Snow Globe with 2 lines of text up to 25 characters per line. All personalisation is case senstive and will appear as entered. This item is available on next day delivery. Personalise with 2 lines of text up to 25 characters per line.